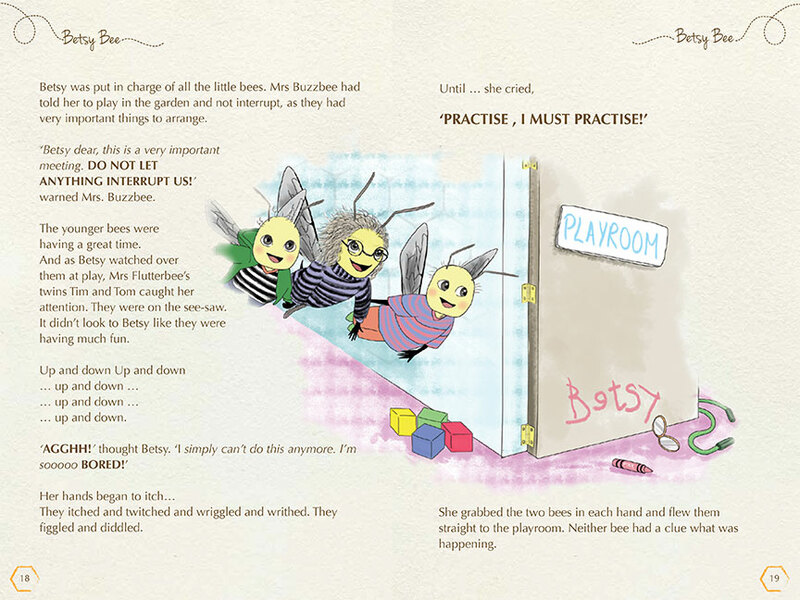 This is the second Betsy Bee book we have had the pleasure of designing for Carrowmore. 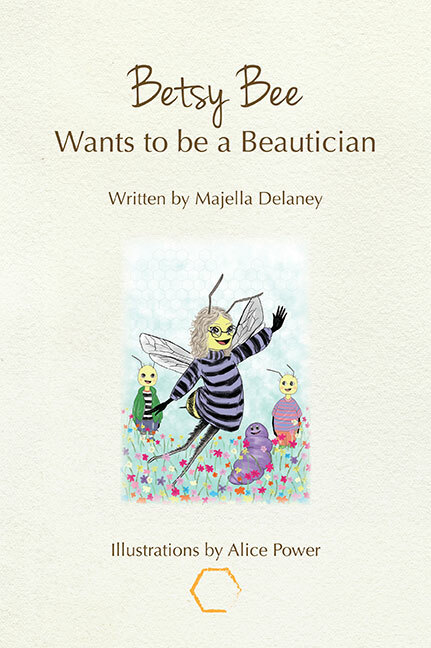 Betsy Bee wants to be a Beautician by Majella Delaney is the story of Betsy, a bee full of energy, enthusiasm and a habit for getting herself into unexpected trouble. 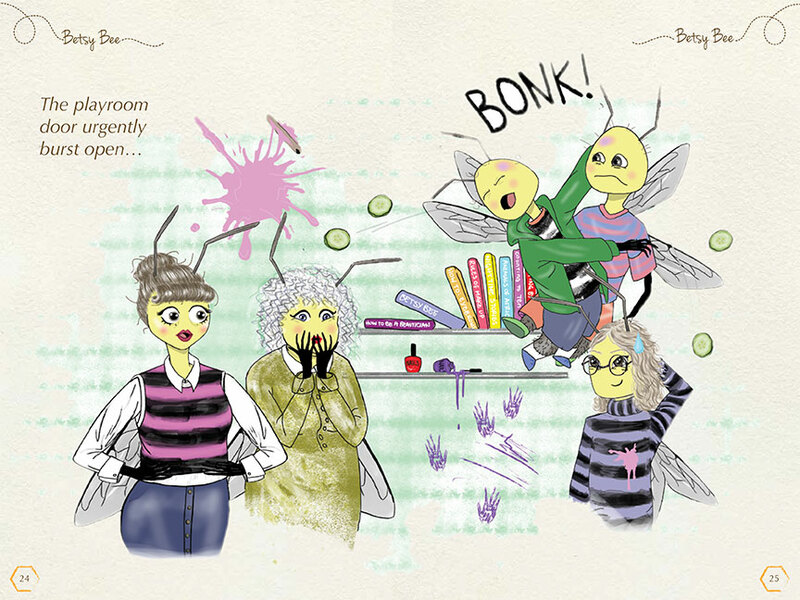 Betsy has decided she wants to be a beautician and that the best way for her to learn is to try out her skills on herself, and everyone she can get her hands on. 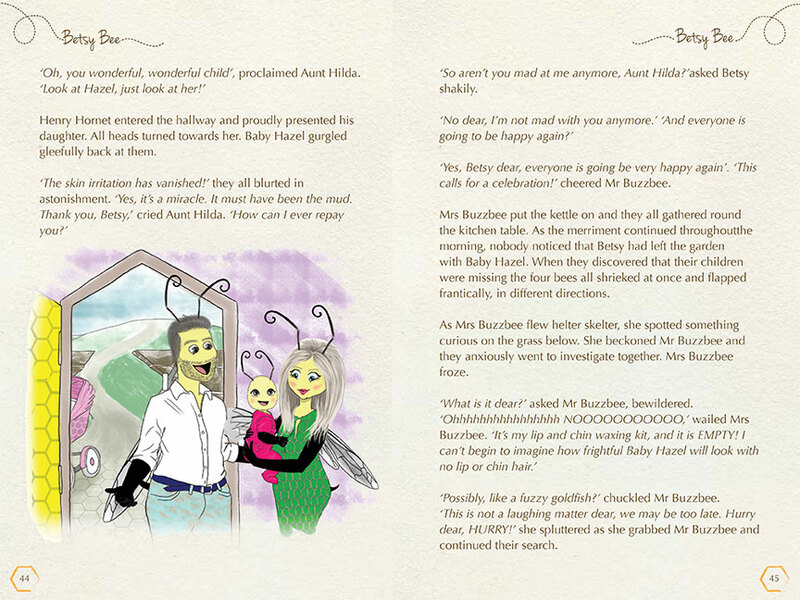 The results are … well … as you might expect. 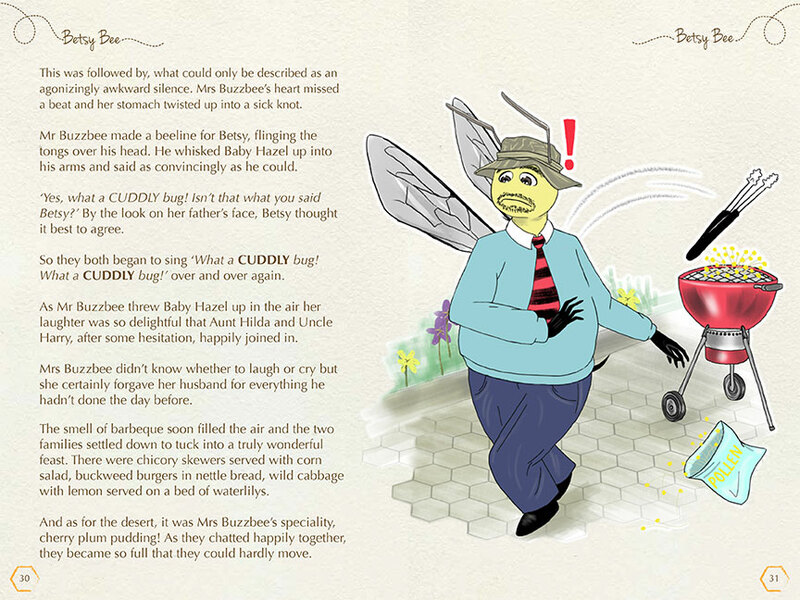 Charmingly written and beautifully illustrated, this is a wonderful new book and a welcome addition to the genre.